Posted On January 14, 2017 by Team iCynosure. This post is originally from IHG's Guide to New York City. New York City is the most popular destination in the world, and for good reason. With first-class entertainment options, world-famous landmarks, buzzing street activity and nightlife, it is an epicentre of culture, diversity and excitement. Your choices are seemingly endless when it comes to hotels, which means deciding which hotel to book can be a challenge, as options range from hostels to ultra-luxurious global chains. IHG® can help you find accommodations that cater to your wants and needs while you explore what makes NYC so unique. New York City is home to a multitude of world-renowned landmarks, so prioritizing your time during your visit is essential. For the ultimate sightseeing adventure, consider one of the hotels in Manhattan, home to the Empire State Building, Times Square, Wall Street and the 9/11 Memorial. Manhattan can easily fill your itinerary with must-dos, and a short boat ride across the harbour takes you to the Statue of Liberty. After a day of sightseeing, a stroll through Central Park is an excellent way to unwind. New York City hosts almost 55 million visitors each year and offers an incredible array of destinations and attractions to explore. 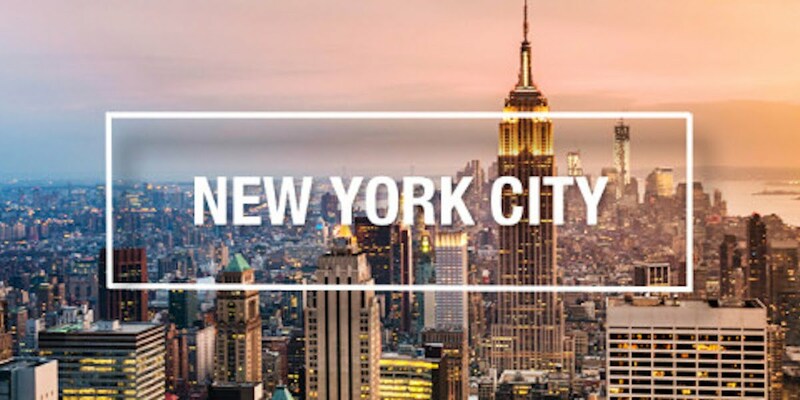 Regardless of when you go, where you stay or what you do, there are plenty of hotels to fit your specific needs, and by booking through IHG, you are assured a great stay while you explore New York. When considering hotels in New York City, first choose your ideal borough, since each has its own character, advantages and charms. You may want to be closer to the multicultural cuisine of Queens or the tree-lined streets of Brooklyn. Midtown Manhattan is a prime location for visitors wanting to be within walking distance of Broadway plays or 5th Avenue shops, although they can be expensive. If you want to be in the middle of the action, look for a Times Square hotel location. Luckily, there are many reasonably priced hotels inside and outside of Manhattan, and getting around is easy. The New York City metropolitan area is served by three key airports: John F. Kennedy International Airport, La Guardia Airport and Newark Liberty International Airport in New Jersey, which is only 15 miles from Manhattan. Those visiting the city by rail will enjoy the iconic Grand Central Terminal or Pennsylvania Station, the city's two main railway stations. Travellers with shorter stays may find New York City hotels near major transportation hubs more convenient and more budget-friendly. The thought of getting around the city can be intimidating for first-time visitors, but travelling throughout the city and its five boroughs are surprisingly easy, thanks to the extensive Metro subway system. Along with its low cost and a vast network of routes, the Metro is an efficient way to explore the city. In addition, you can easily hail a cab for a direct route to your destination.